Building quality muscle requires quality calories, and it requires a lot of them—if you’re striving to put on serious mass. A high-calorie diet can be easy if you’re not worried about the quality of food you’re eating, but keeping it healthy isn’t so easy, and doing it without breaking the bank is almost impossible. In order to ensure anabolic and anti-catabolic qualities, a variety of high-quality protein sources are needed. That’s why MASS EFFECT REVOLUTION was designed with Mass Effect OctaPure8 Protein Fusion for full spectrum protein balance. Quick-digesting hydrolyzed whey protein isolate, whey protein isolate, whey protein concentrate and SPI-90 help to immediately begin the post-workout repair of damaged muscle tissue, giving MASS EFFECT REVOLUTION highly anti-catabolic properties. Micellar casein,milk protein isolate and calcium caseinate are digested more slowly, assuring a trickle-feed anabolic effect. The goal of MASS EFFECT REVOLUTION is to build high-quality lean muscle mass, so MyoCarb Matrix guarantees crucial muscle-feeding complex carbohydrates from sprouted rice bran and grains, which makes it almost sugar-free. 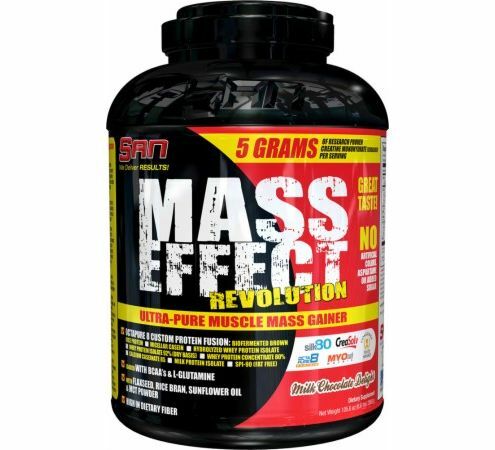 Another big part of increasing muscle mass is stimulating muscle volume, and that’s why MASS EFFECT REVOLUTION contains at least 5grams of creatine monohydrate and additional L-glutamine in every serving. 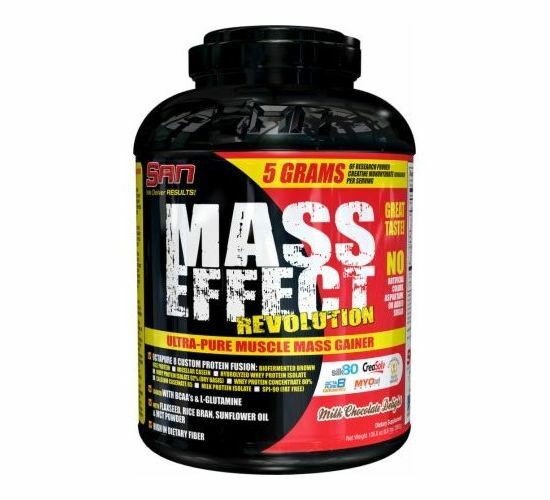 MASS EFFECT REVOLUTION is your key to building the most quality muscle mass in the shortest time possible.